Putting this 1965 Stratocaster down was the hardest thing I've had to do all week, and I did my taxes yesterday. It has the sort of warm, round, mellow voice that makes you want to noodle all day. 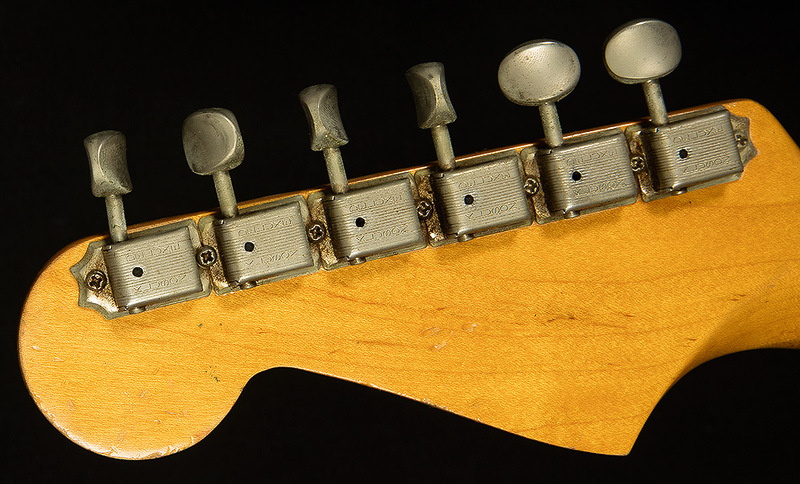 In the neck position, the low-end is pillowy, the midrange is broad and sonorous, and the highs are glassy and clear. You can play big chords and still get excellent note separation, but both rhythms and single-note lines have exceptionally satisfying weight and fullness. When you flip to the middle position, the midrange becomes more focused, and the lows tighten up while the high-end gains more presence and cut. 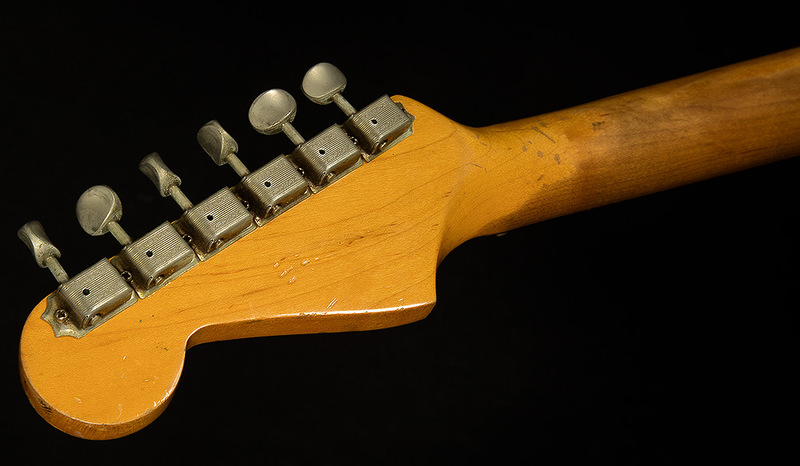 Finally, in the bridge position, the lows becomes snappy and twangy, the midrange has just the right type of bite, and though the highs are glassy and smooth, you can still hear some nice overtones sparkle in the highs. It's also worth noting that this guitar plays amazing. 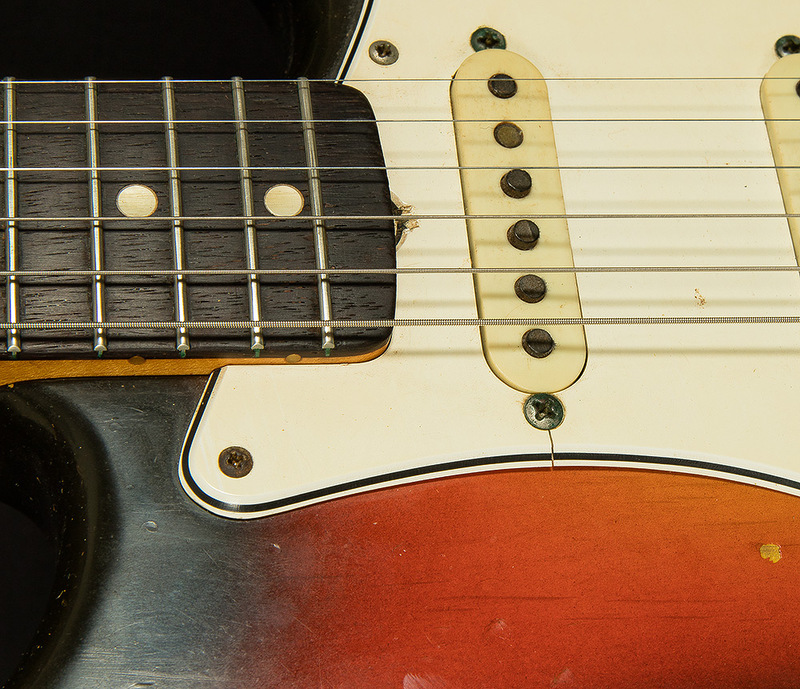 If you dig slimmer '60s "C" shapes, this neck will delight you to no end. Because it played so well and because it has such a warm, rich, vocal timbre, this guitar pulled some of the most soulful music I've ever made out of me. 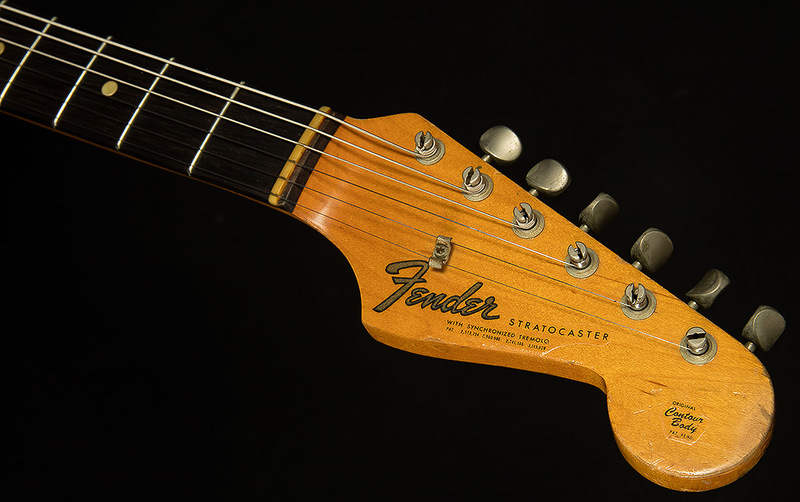 Great vintage instruments make you feel all kinds of emotions that you don't necessarily have a name for, and this Strat is the sort of guitar that pulls at your heart strings when you let a single note ring out. 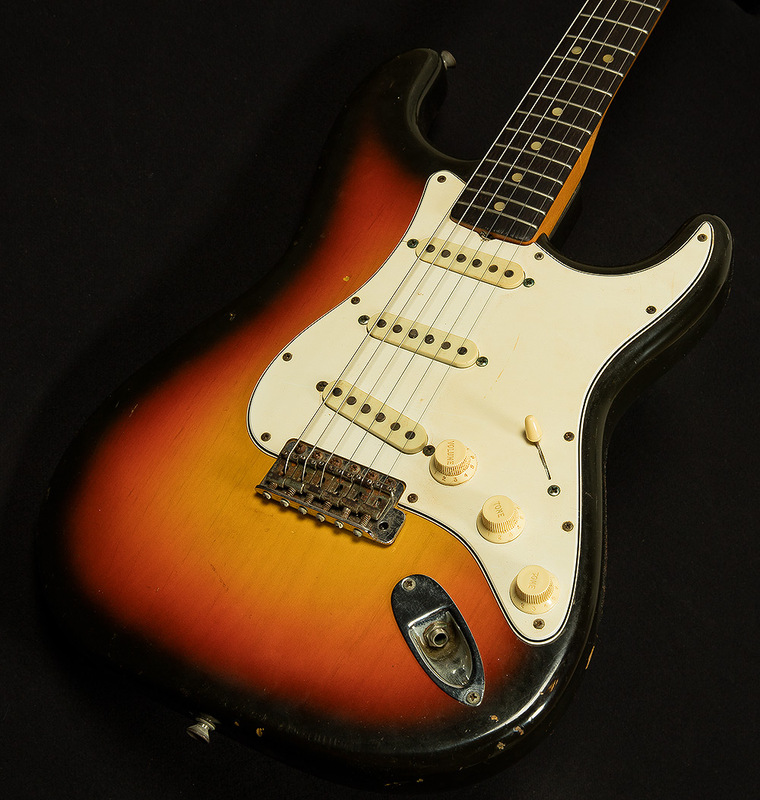 Any vintage Stratocaster enthusiast would be lucky to take this beautiful guitar home. 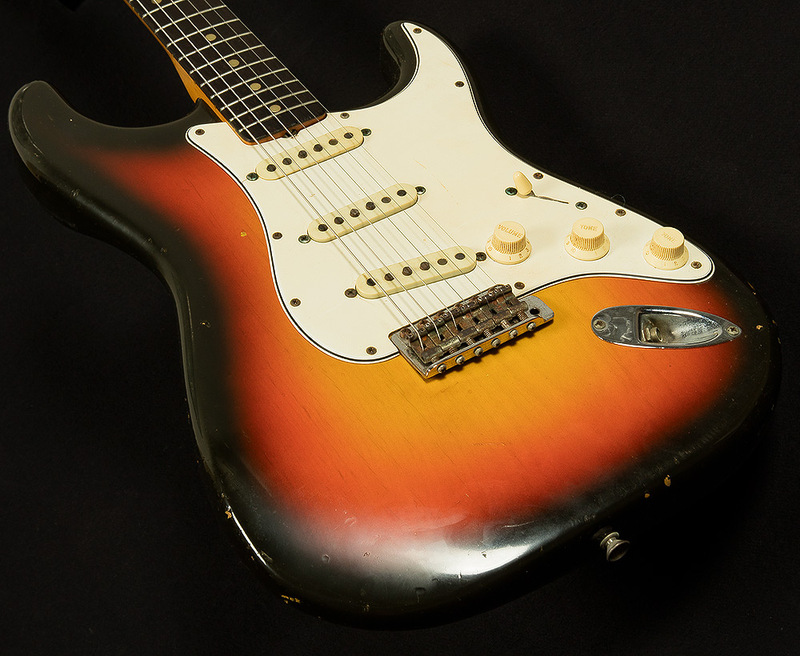 This 1965 Stratocaster is in amazing shape. 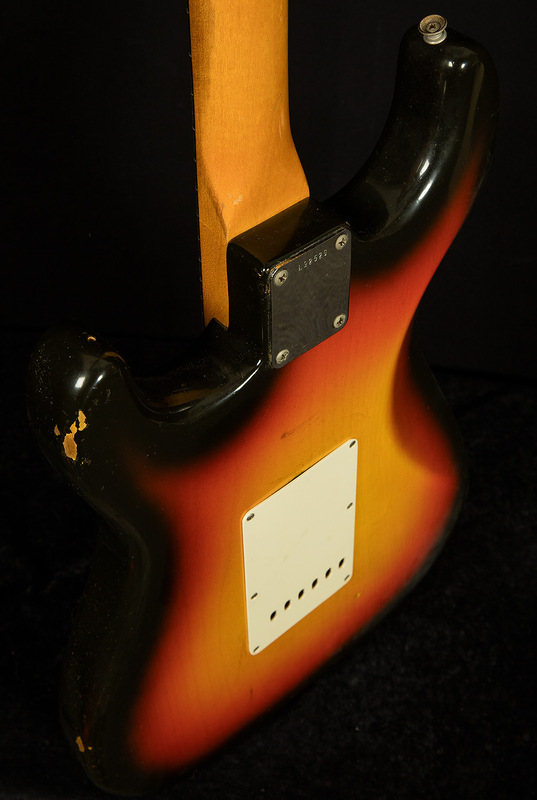 It has accumulated some typical vintage wear, but it looks darn good for a sixty-four year-old guitar. 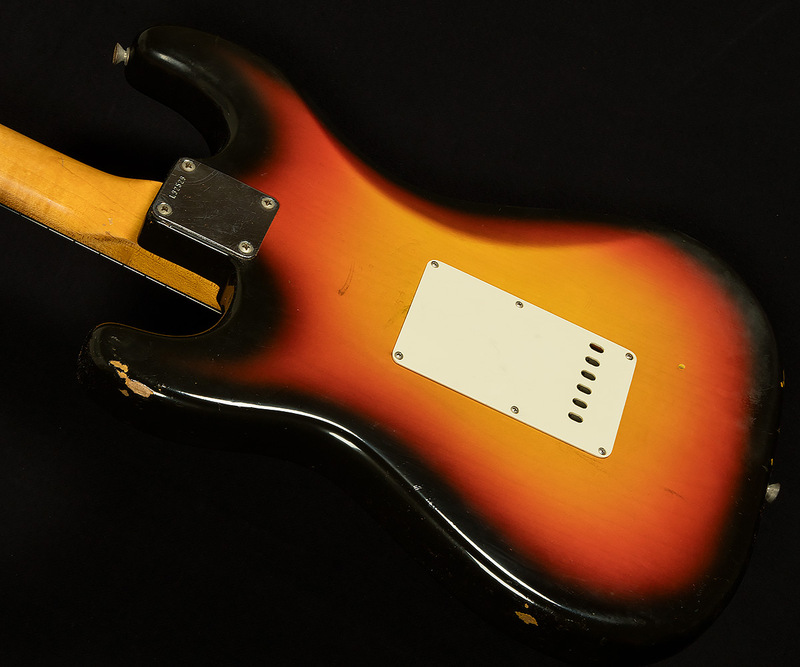 If this guitar were a brand-new relic'd guitar from the Custom Shop, I'd describe it as a journeyman relic finish. There are a few small cosmetic issues worth noting. There's a crack in the pickguard next to the neck pickup's top screw. On the lower horn, it looks like someone drilled a hole for a strap button, then removed it, leaving a small hole. Also, the high E tuner is slightly bent. Some wires have been changed, but the pickups, switch, and pots are all original. At some point, it underwent a professional refret. 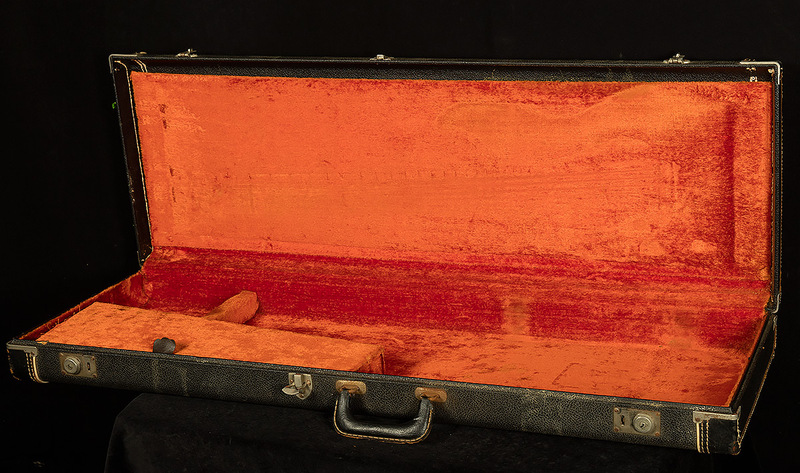 It comes with its battered-but-functional original case.